I love this as now that I am living out of 3 pieces of luggage gallivanting around the globe I still need to keep it all tidy and sometimes can’t find things in my own suitcase. When I had my set place to live in Palo Alto California I easily got sidetracked by clutter and now with less to take care of I feel better. This is inspiring to read Lin’s post on the ordeal of accumulated junk. Read more you’ll like it. I am back in Thailand after 8 months of traveling in Cambodia, Myanmar, Nepal and India. 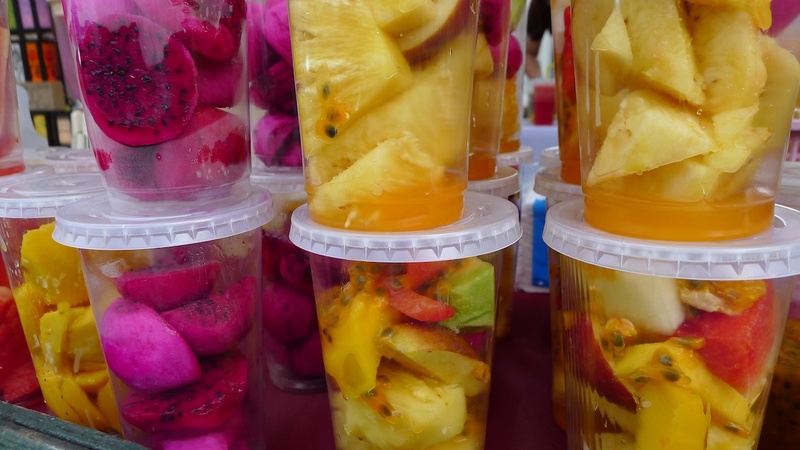 I am falling in love with the Land of Pad Thai, Dragon Fruit and Orchids. Absence does make the heart grow fonder. 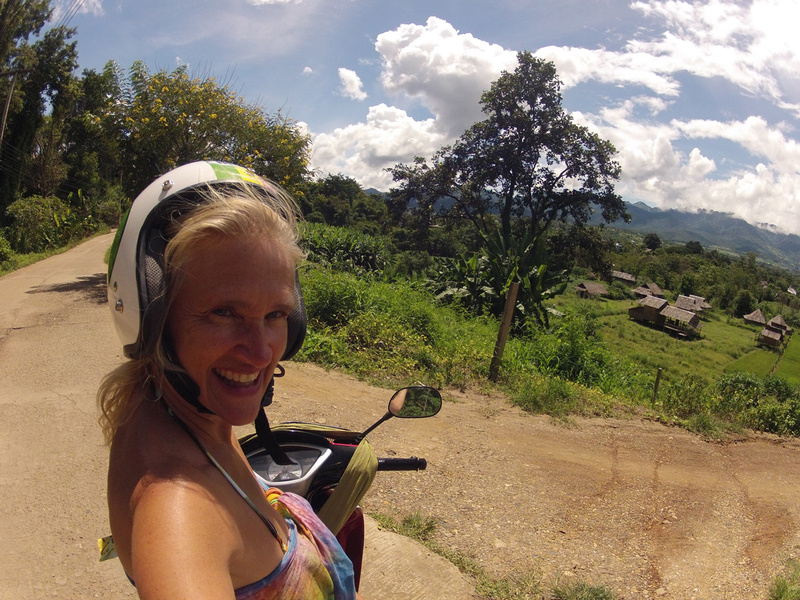 Here is what I love to do in Thailand: Motorbiking in the hills of Pai as seen in the above photo. Absolutely jaw – drop gorgeous scenery and no traffic until the tourists arrive in November. And the best part? You won’t gain weight. No bread or cheese, mostly small portions of noodles or rice with spicy meats/fish and veggies. Barbecued fish is sold on the street for $1 to $1.75 US, what’s not to like? I was looking forward to cooking but since stoves are not standard issue in apartments I just walk out my door, hop on my motorbike and today for lunch I had roast duck with rice and it was crazy delicious. $1.50 US. My neighborhood in Chiang Mai is full of wonder and yumminess. Sap Li! 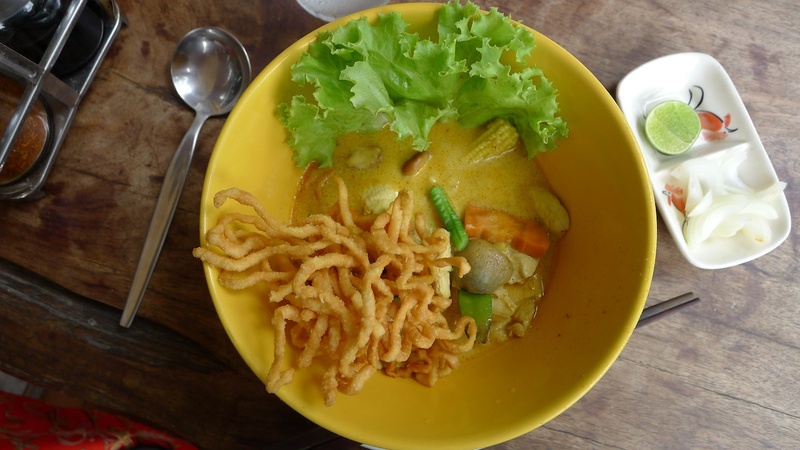 (that’s Thai for very delicious) Khao Soi soup – my favorite! Commune with an elephant. 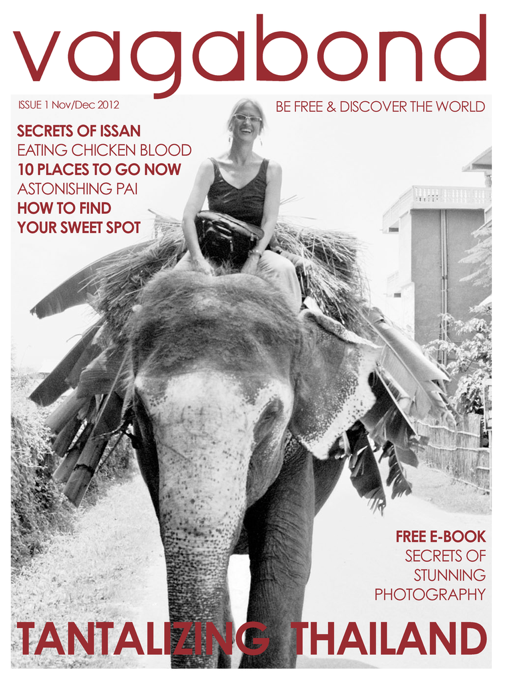 Read my Thailand issue of Vagabond in the itunes store for your ipad here. 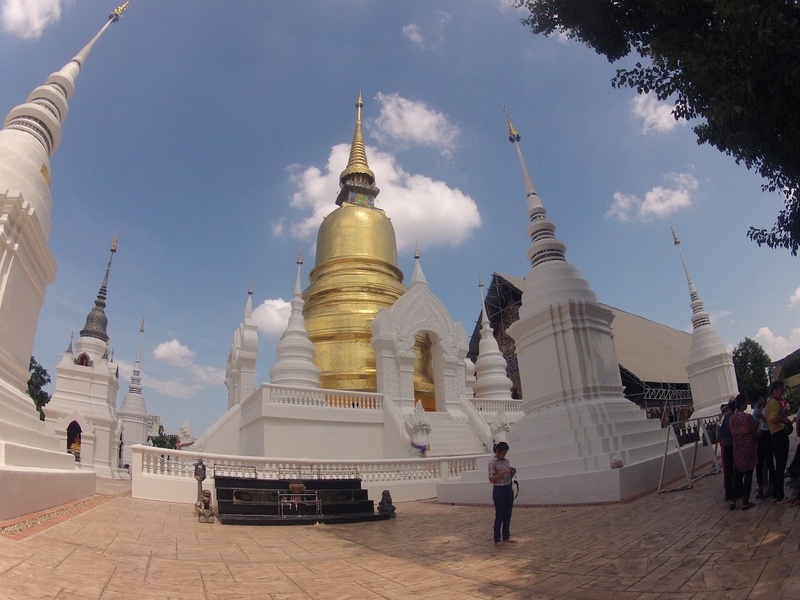 Go see temples in Bangkok, Chiang Mai, and in Issan: Wat Suan Dok in Chiang Mai and there is a Vegetarian restaurant in the back. 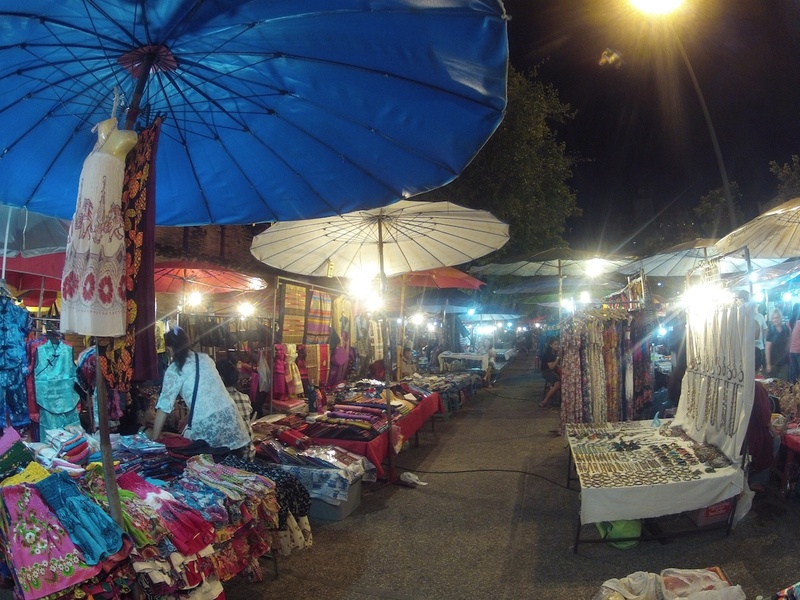 Go to the markets – if you can stand to be shell-shocked by consumerism. But its all in fun and entertaining to watch other shoppers buying bags of loot. And its mostly all cheap too. You can always stop when you are getting overwhelmed. But you never know when the perfect pair of sandals will fall on your head out of the sky or you will just get so hungry you have to eat again – take your pick. Make Friends. 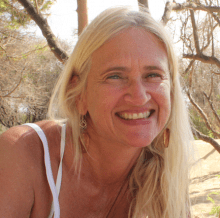 Volunteer to speak English with a class – its great fun and you laugh a lot! Do yoga and have a Thai massage. 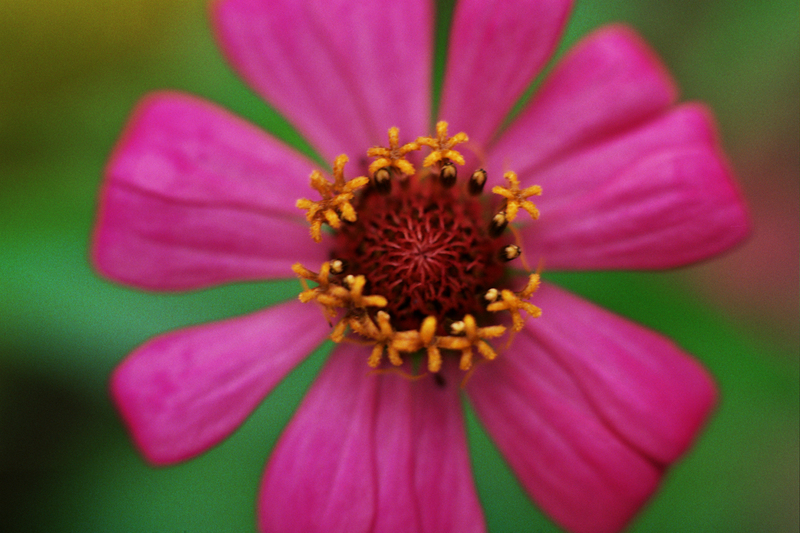 Enjoy the flora and fauna. 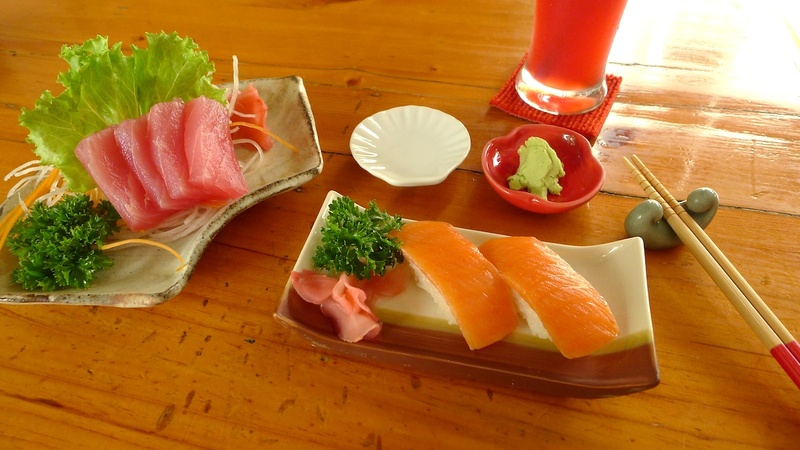 Discover waterfalls and hot springs in Pai.